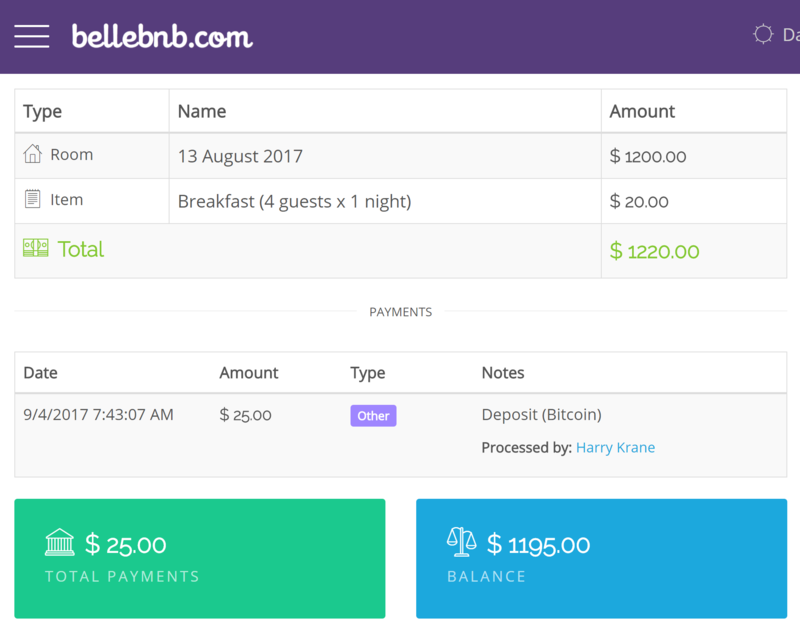 ﻿ Payment Gateways Part I: Bellebnb Concepts You can connect your Payment Gateway to process live credit card payments directly from your Front Desk manager. Before you do this, you should be familiar with a few definitions and concepts found in this blog post. You can connect your Payment Gateway to process live credit card payments directly from your Front Desk manager. Before you do this, you should be familiar with a few definitions and concepts found in this blog post. 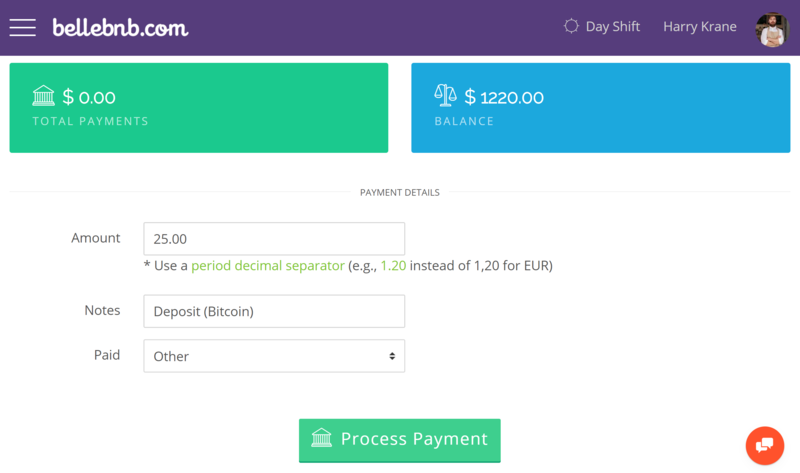 There are two items at work: Payments and your Payment Gateway. A Payment is a record of a payment from a guest to the hotel and includes: date, amount, type, notes, who it was processed by, and any processor details. Your Payment Gateway provides the connection to a payment processor to process live credit card payments and deposits the funds in your bank account. Suppose your guest pays a deposit in cash when they arrive at your vacation rental. You can register a Payment for this reservation. The reservation’s balance will be reduced by this amount. When the guest checks out, they pay their balance in Bitcoin, for which you record another payment. In this example, neither payment passed through the PMS, but the property manager has a record of when each payment was made, along with other details, and how much to accept on check-out. Now, suppose the Payment Gateway is enabled. When a payment is made with a credit card, the property owner has the option to process the payment using their selected processor, and the Payment will include the information returned by the payment processor, most importantly the Transaction ID. The important thing to note is that not all Payments are processed through your Payment Gateway. Only credit cards payments are eligible to be processed using either of the two available processors, Stripe and PayPal, and the property owner has the option to record a credit card payment without processing. If, for example, the hotel uses a swipe processor, the hotel can record the payment in the PMS to record the payment date, amount, etc., even though the actual payment is going through an exterior channel. To process live payments from your Front Desk manager, you need to connect to one of the payment processors available. The next two articles provide the details to connect your payment gateway to your live payment processor. Once your Payment Gateway is live, you can process payments for deposits, check-outs, and cancellations (i.e., at every stage of the reservation lifecycle). All payments in the Front Desk manager are done manually, including payments that don’t go through your payment processor. No payments occur automatically at any stage—any payment requires some member of the hotel staff to enter basic data and click a button. Also, no returns are allowed through the payment processor from the PMS. Any funds that need to be returned to the guest must be returned through your payment processor’s website directly. Funds are only ever deposited into the hotel’s account, and never extracted or returned.